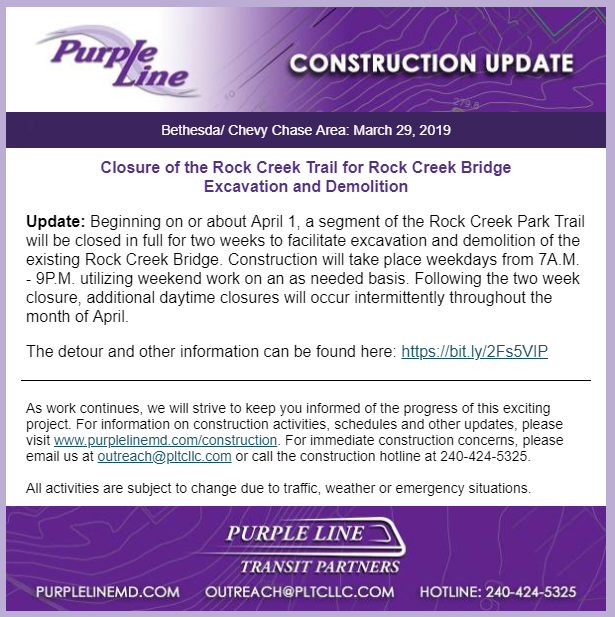 The bell is tolling for the Rock Creek trestle. 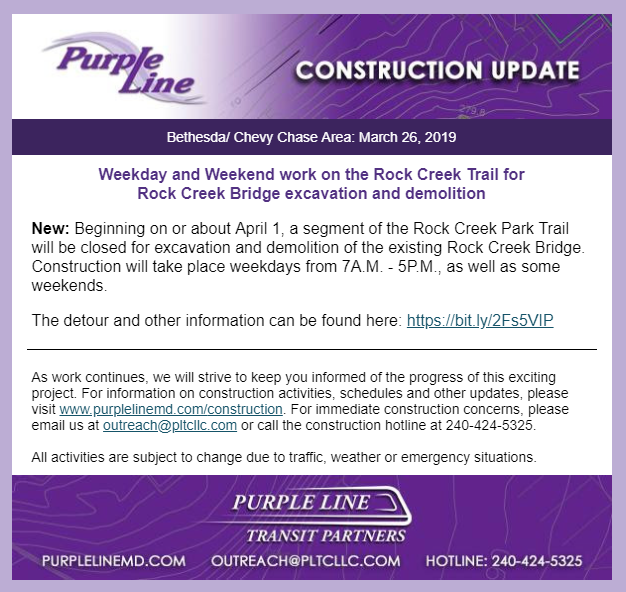 The Purple Line has announced that beginning on March 26, demolition will begin as they remove the path across the top and then begin demolishing the trestle itself. 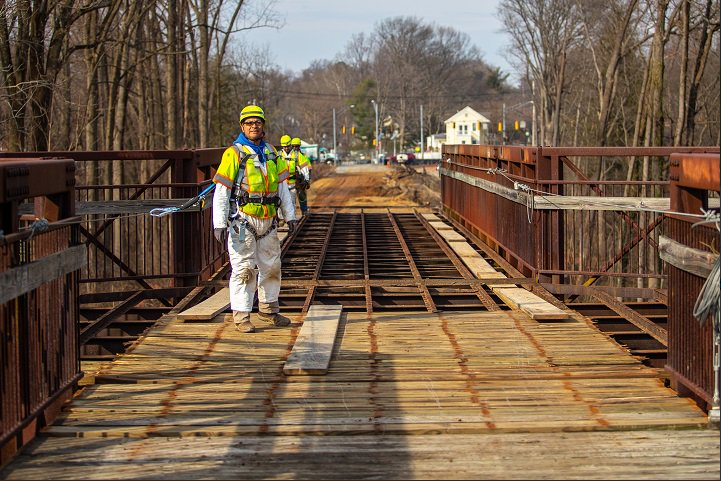 Already the wood planking atop the trestle is being removed. 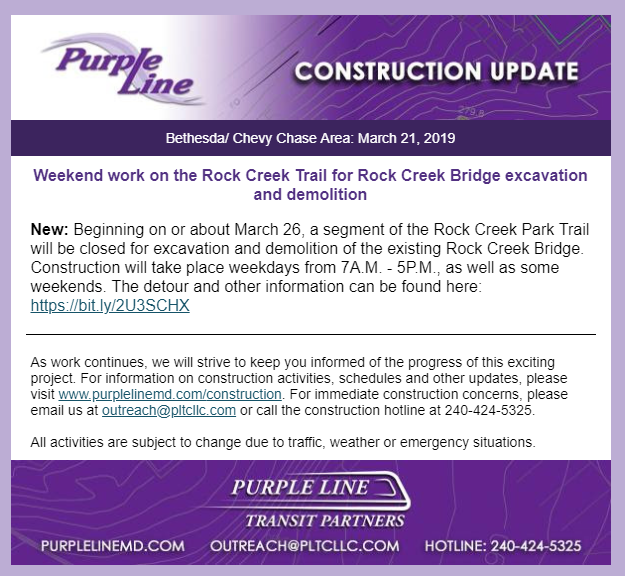 I am hoping to visit the site to witness some of the demolition. It’s heartbreaking to read about. RIP.